Words that often came up when friends and family spoke of him included: loyal, compassionate, thinker, writer, activist, wise, determined, original and spiritual. He was a man for whom the environment and social justice dominated his life and while he was a natural leader it was always the cause, not self promotion, at the forefront. A great example of Dons humility was in his book The Wind to Ride: Fifty Years of IHC in Southland where he documents the history of the organisation in Southland, yet never mentions himself as a founder and driving force behind it. Don was also an active and leading member of Forest and Bird and Men of the Trees. When he purchased his Pine Bush farm (as a returned serviceman) the only trees on the property were two poplars and now, many decades later, trees dominate. One of Don's daughters explained how her father approached farming differently from those surrounding them, while others were trying to replace tussock with pasture, Don was busy establishing areas of tussock. His farm became the flagship of farm forestry and shelter in Southland. Gary Morgan from Environment Southland lauded Don as a great advocate for "...the integration of trees on farms and the benefits they provide for stock shelter, soil conservation, water quality, wildlife habitat and commercial return." One of Don's most recent projects was the restoration of the old Gore landfill site. Through the joint leadership of his wife Margaret and himself, native plantings are converting an eyesore into a reserve. The Lifetime Achievement Award that Don received this year for his service to conservation was well deserved. Don was also politically active and was continually writing submissions, promoting petitions and taking part in protest marches. He was involved in the iconic Save Manapouri protest and marched against the war in Iraq. 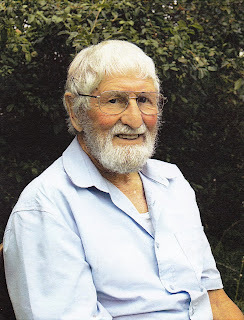 Don hated injustice and social inequities and he was determined to fight for the protection of our environment against unnecessary commercial exploitation. He was never strident in his activism and many spoke of his persuasive arguments (based on his wide reading and deep thinking) that often caused people to re-elavuate and shift their views. The environment has benefited immensely from Don's 91 years on this Earth and many people's lives are much better because of him, his legacy is substantial. I feel privileged to have known him and to have experienced his friendship and support. As Don might still be saying now, "Manaaki whenua, manaaki tangata, haere whakamua." Look after land, look after people, welcome what's ahead.